Custom cherry fly tying and rod and reel storage desk. 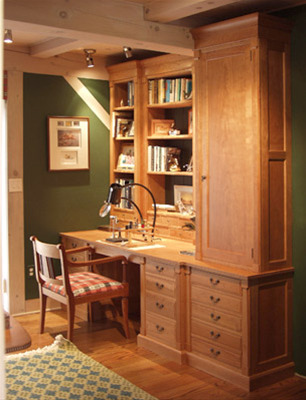 Companion piece to the previous custom home office. Built into a jog in the wall, custom fitted.